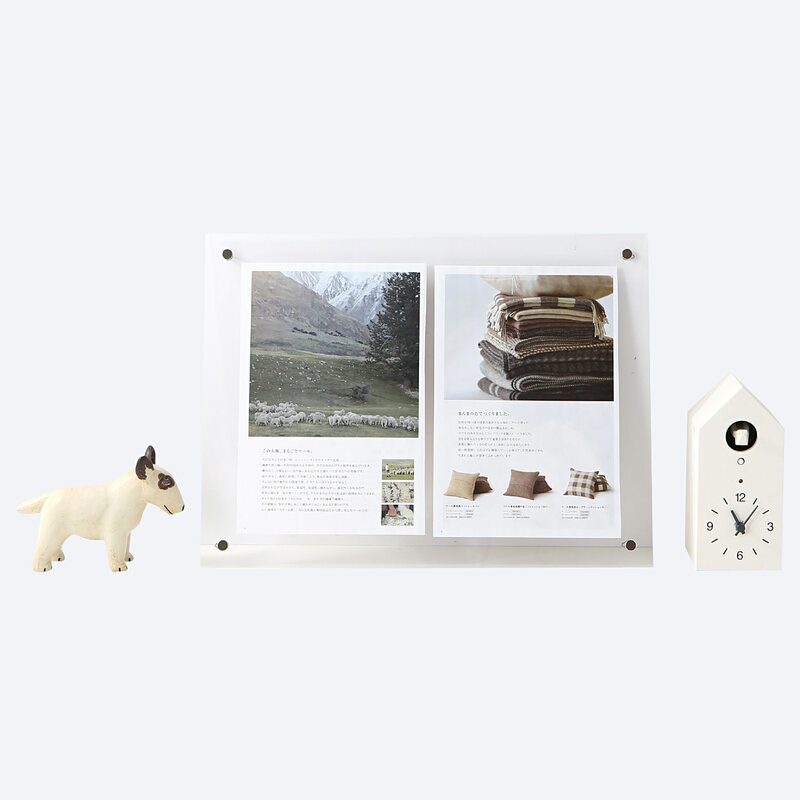 MUJI's unobtrusive acrylic frames are designed to ensure the focus is on the picture and not on the frame. These frames can be used either landscape or portrait. Please note the measurements stated are for the size of the frame from screw to screw. 30x44cm.